Jean-Paul Wagner is the founder and managing partner of Corax IP. 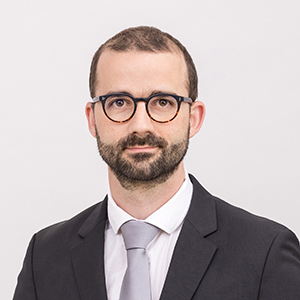 Jean-Paul is a European Patent & Trade Mark Attorney, as well as a Conseil en Propriété Industrielle (Patent Attorney) in Luxembourg, who has been working in private Intellectual Property practice since 2008. He holds a communication systems engineering degree (M.Sc.) from the Swiss Federal Institute of Technology in Lausanne, EPFL. He also detains a Ph.D. in Electrical Engineering, obtained at the EPFL’s Signal Processing Institute. In 2009, Jean-Paul further obtained the post-graduate Certificate in Intellectual Property from Queen Mary, University of London. A Luxembourg native, Jean-Paul is fluent in Luxembourgish, English, French and German. He has experience in successfully representing his clients before the European Patent Office, EPO, and its Boards of Appeal in all of the EPO’s official languages, in both written and oral proceedings. In 2014, 2015 and 2016, Jean-Paul was awarded with the International Law Office’s, ILO, Client Choice award for Intellectual Property: Patents in Luxembourg. The award recognizes ‪excellent client care and the quality of provided services, as well as the ability to add real value to clients’ businesses. Awardees are nominated exclusively by corporate counsel. 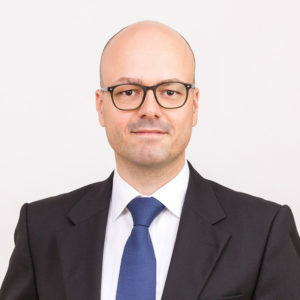 Jean-Paul is a member of the International Federation of IP attorneys, FICPI, the Luxembourg section of AIPPI, and of the Luxembourg Federation of IP attorneys, FCPIL. Cyrille joined Corax IP in 2018. He is a European Patent & Trade Mark Attorney, as well as a Conseil en Propriété Industrielle (Patent Attorney) in Luxembourg, who has been working in private Intellectual Property practice since 2011. He holds a degree in general mechanical engineering from the Ecole Nationale Supérieure des Arts et Métiers, ParisTech, in France, specialising in material science. Prior to starting his career in Intellectual Property, Cyrille has been working in industry as a project engineer. A French native, Cyrille is fluent in French, English and German. He has a track record of successfully representing his clients from high-tech industries before the European Patent Office, EPO. Furthermore, he regularly advises on patentability aspects related to computer-implemented inventions, and he has gained considerable experience in patent novelty searches as well as freedom-to-operate searches.